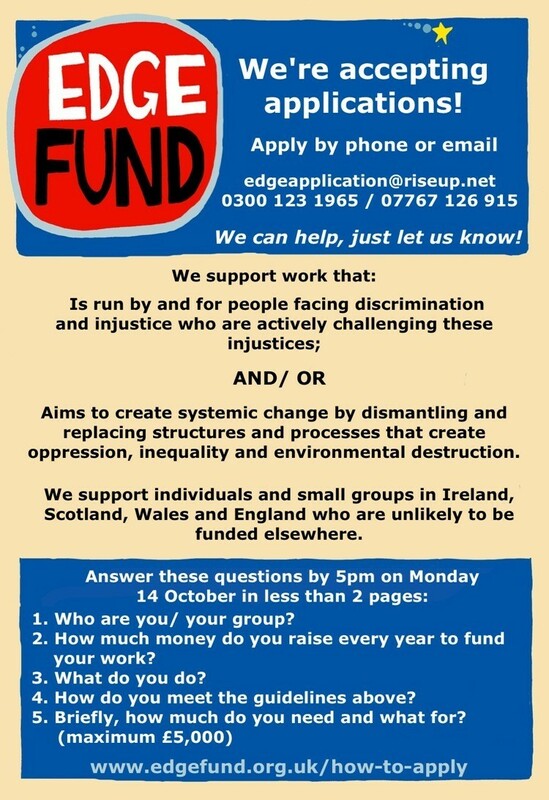 We support work that: is run by and for people facing discrimination and injustice who are actively challenging injustice and/or aims to create systemic change by replacing structures and processes that create oppression, inequality and environmental destruction. We support individuals in Ireland, Scotland, Wales and England who are unlikely to be funded elsewhere. 1. Who are you/your group? 2. How much money do you raise every year to fund your work? 4. How do you meet the guidelines above?